McALLEN — For years, roughly half of the city’s revenues came from sales tax, much of which La Plaza Mall and Mexican shoppers contributed. That share has shrunk to 41 percent, as the city seeks to diversify where its money comes from. 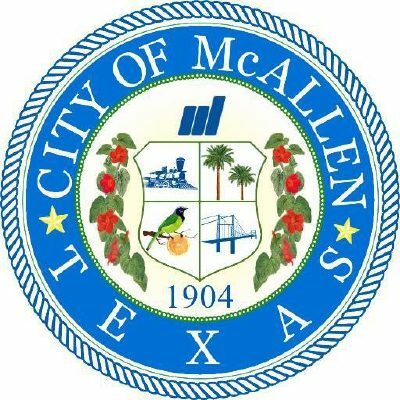 The proposed budget for fiscal year 2018-19, which begins in October, will have McAllen making $49 million, or 41 percent of major revenues. Property tax revenues have grown year after year, and will make up $41 million, or 34 percent of the city’s revenues. “It’s a necessary shift,” Mayor Jim Darling said after Monday’s first budget hearing for the next fiscal year budget. The hearing took place at the Palm View Golf Course in South McAllen, where there will be subsequent hearings throughout the rest of the month. Construction has shot up, Darling said, with $263 million in new construction over the past year. The city’s general fund budget is roughly $116 million, which may appear smaller than expected for a city of more than 140,000 people. But there are various funds that are not included in the general fund, such as sanitation, the airport, the convention center and many others. In total, the city’s budget clocks in around $380 million. City Manager Roel “Roy” Rodriguez is responsible for presenting the budget process to commissioners, as he began Monday. All commissioners were present aside from Aida Ramirez and Javier Villalobos. After weeks of budget hearings, commissioners will then vote on the budget in September. It will then take effect in October.